35 terror attacks in Judea and Samaria in the past week alone, nearly 450 attacks so far this year. 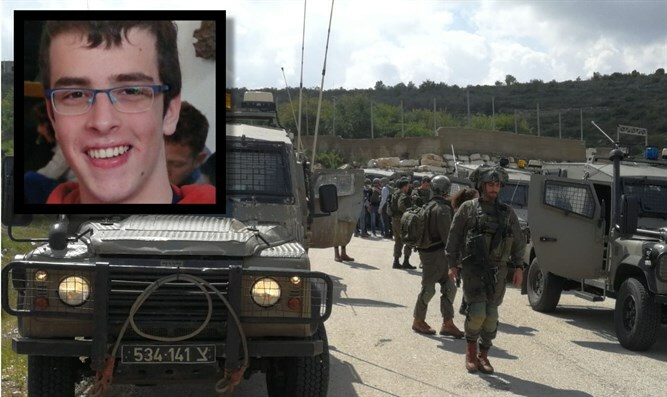 The murder of IDF soldier Gal Keidan and Rabbi Achiad Ettinger was celebrated by Palestinian Arabs in Judea and Samaria, the Gaza Strip, and even by a Jordanian parliamentarian. Gal and his killer were both 19 years old. Gal was a musician, creating joy through song, while the shooter chose to kill indiscriminately. Rabbi Ettinger was the father of twelve and headed a yeshiva in south Tel Aviv. In addition to the deadly attack on Sunday, over the past week there were 27 stone-throwing attacks, five firebomb attacks, and an attempted stabbing, for a total of 35 terrorist attacks in one week. 446 terrorist attacks have been committed against Jews in Judea and Samaria since the beginning of the year.